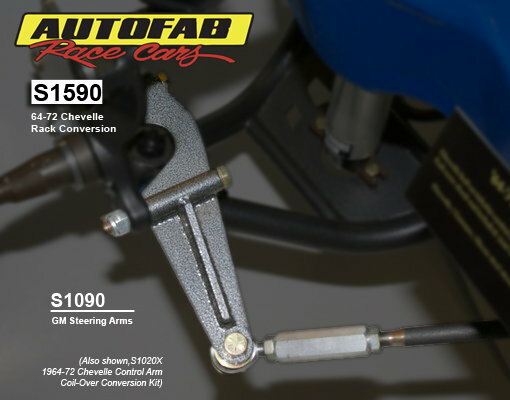 Autofab Race Cars Inc. rack and pinion conversion kits are among the easiest to install in the industry. It bolts into the factory holes on your 64-72 Chevelle/GTO/Cutlass. All bolt-on brackets and steering arms are powder coated in our attractive and durable Hammer tone finish. 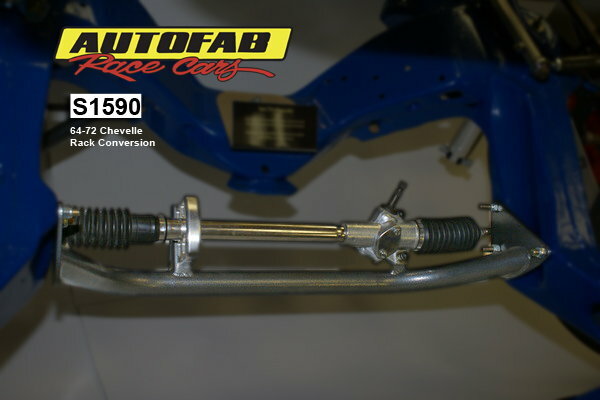 Each conversion kit comes with a Flaming River FR1501 Pinto style rack, (2) Flaming River "U" joints, a billet rack mount, 3/4" chromoly tubing, AFRC tie rod end kit, 4130 Steering arms and grade 8 hardware. *NOTE*~ There is more than one length for our rack mounts. 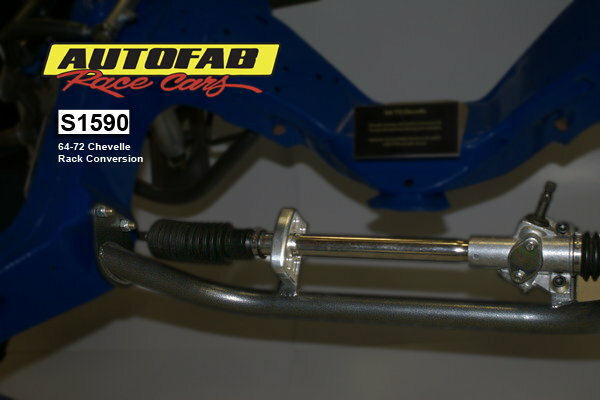 Before ordering you will need to measure the width from the inside of your frame rails where your steering box(driver side) and idler arm(passenger side) were mounted.